The reason most people never achieve their dreams is because they simply give up. Life was never meant to be easy. Its a constant struggle, with extreme lows and extreme highs. Remember that the times when its most important to persevere are the times that you will be most tested. 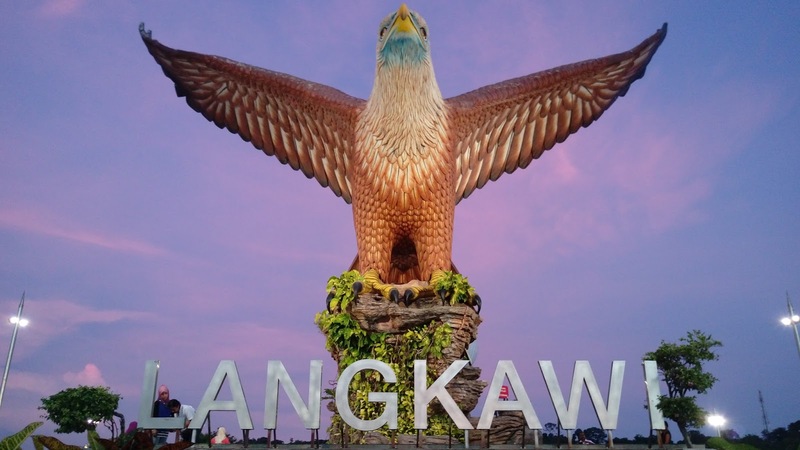 Currently I’m in Langkawi to shoot “The making of” band music album. 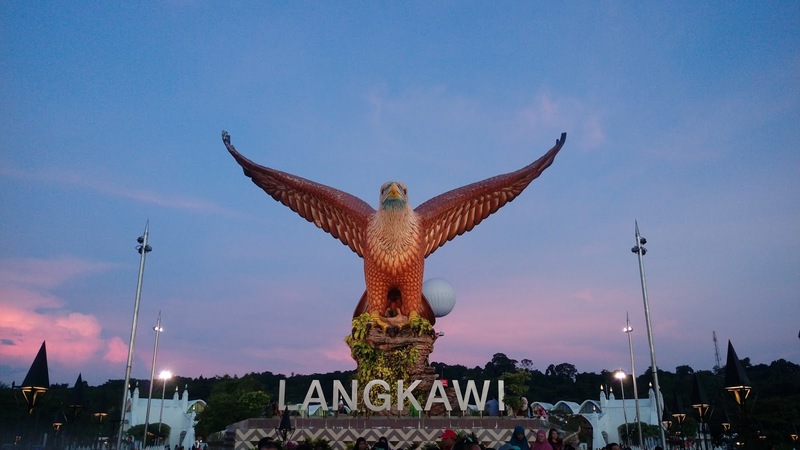 I will be in Langkawi for a month and it’s really an opportunity for me to explore the entire Langkawi. From the beach until the local cuisine. So far what can I say is, the food is totally disappointed. 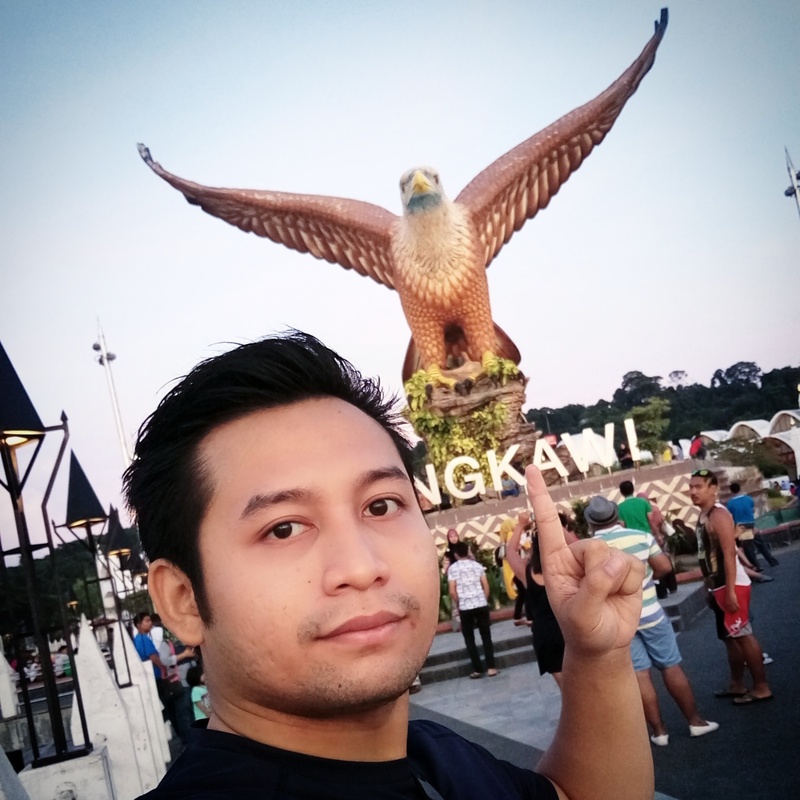 Well, maybe I don’t know where is the good food in Langkawi. Do let me know if you have any suggestion. All the photos are taken with my HTC One M9 Plus (without any editing). 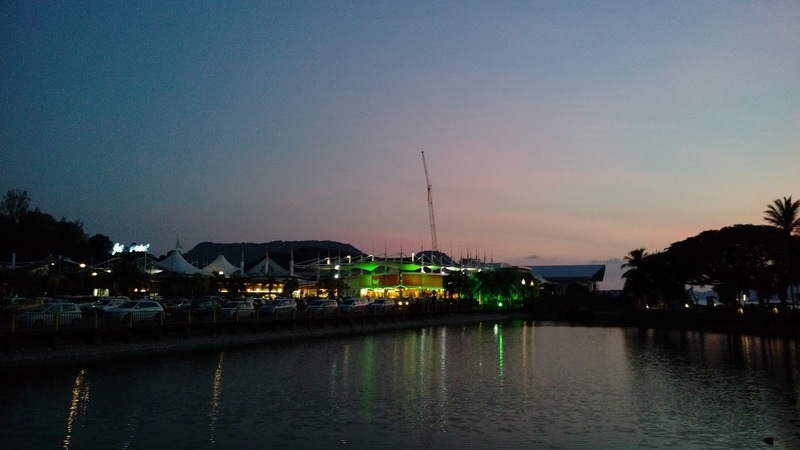 Since I’m staying at Chogm Villa, the nearest tourist attraction is Dataran Lang Langkawi. Not to mention there’s other tourist attraction as well such as Lagenda Park and Chogm Park. The best time to drop by is between 6.30-7.30pm. It’s time when the Golden hours rise. 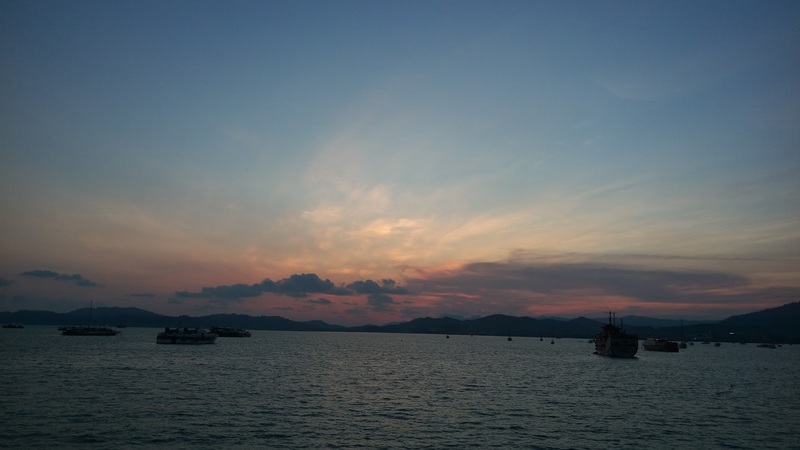 You might want consider the hot air balloon too where you can see the entire Langkawi Island. 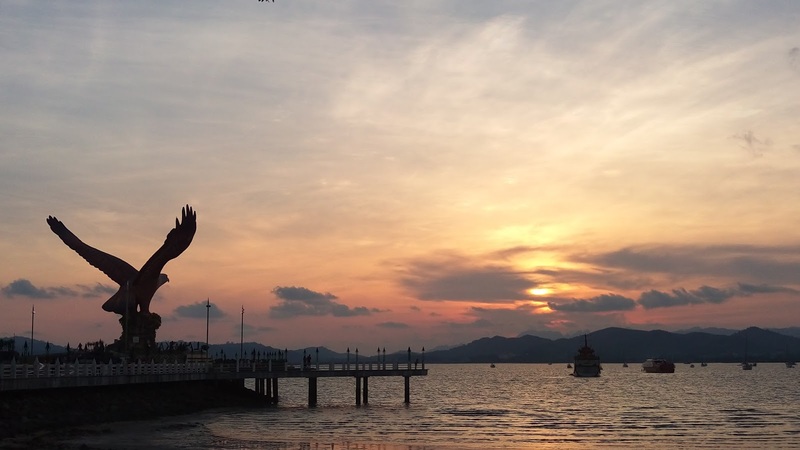 Panorama camera features by HTC One M9 Plus. 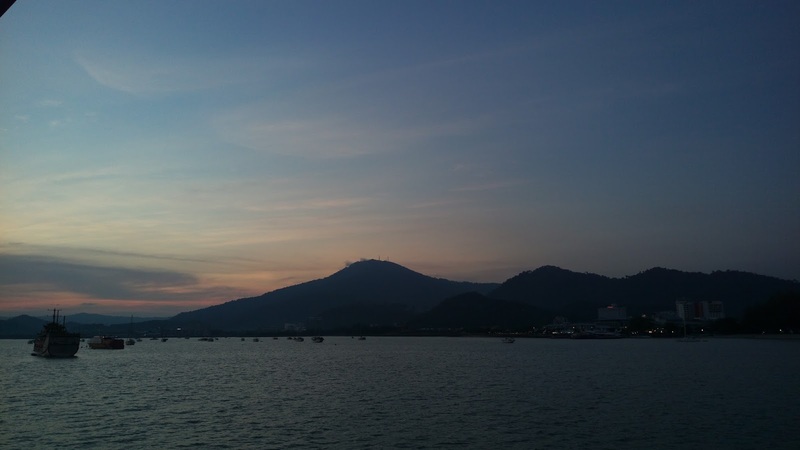 Awesome view of the bay that opens out to the sea with the backdrop of mountains. From Eagle Square, you can see the ferries plying across the bay. 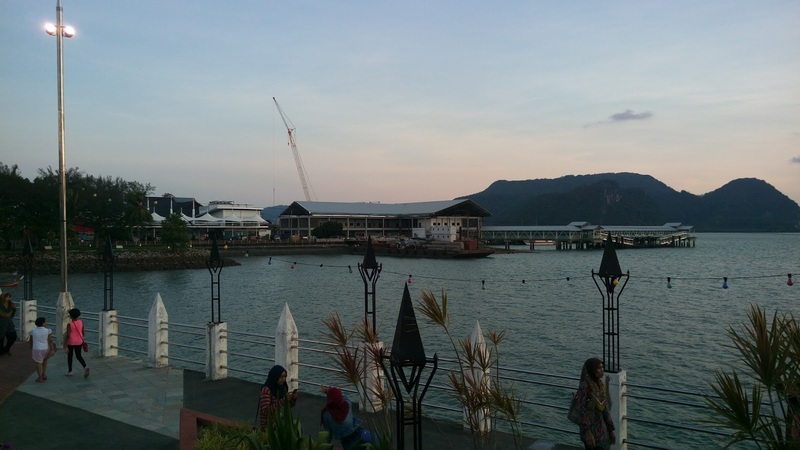 Jogging at Dataran Lang Langkawi, checked. 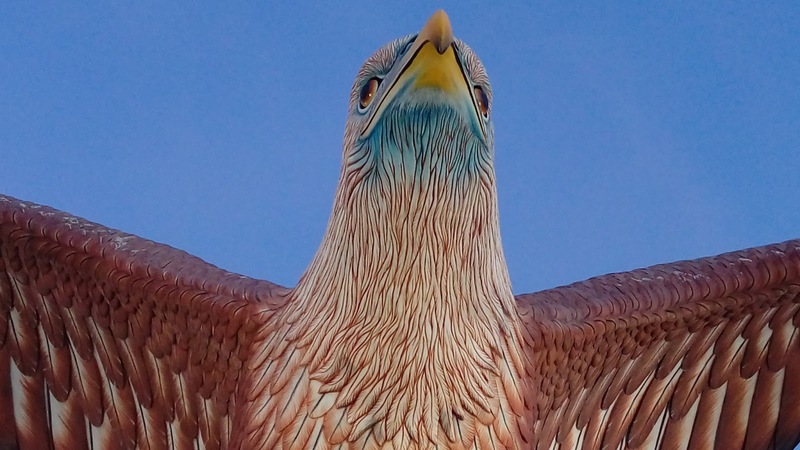 Did quick jog after my swimming and I met this lovely bird over here. Never get confused. 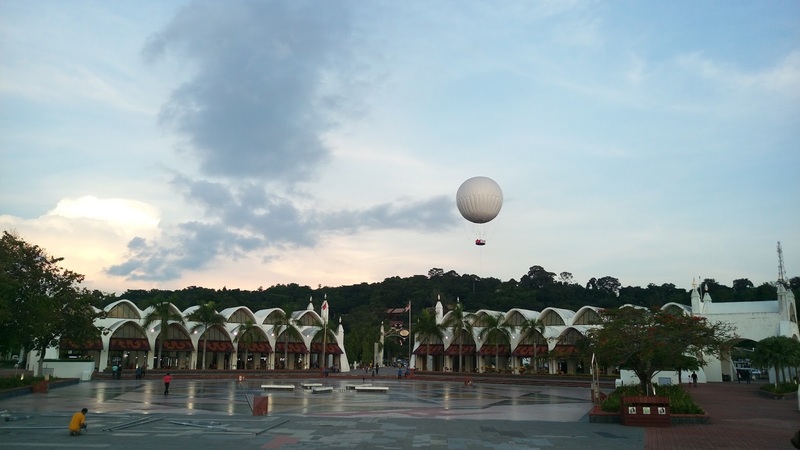 Dataran Lang also known as Eagle Square. 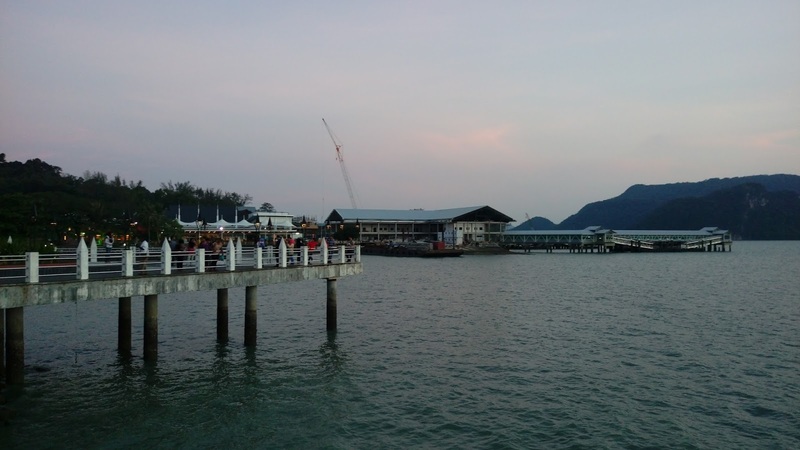 Located in Kuah Town (duty free heaven) and next to the jetty. 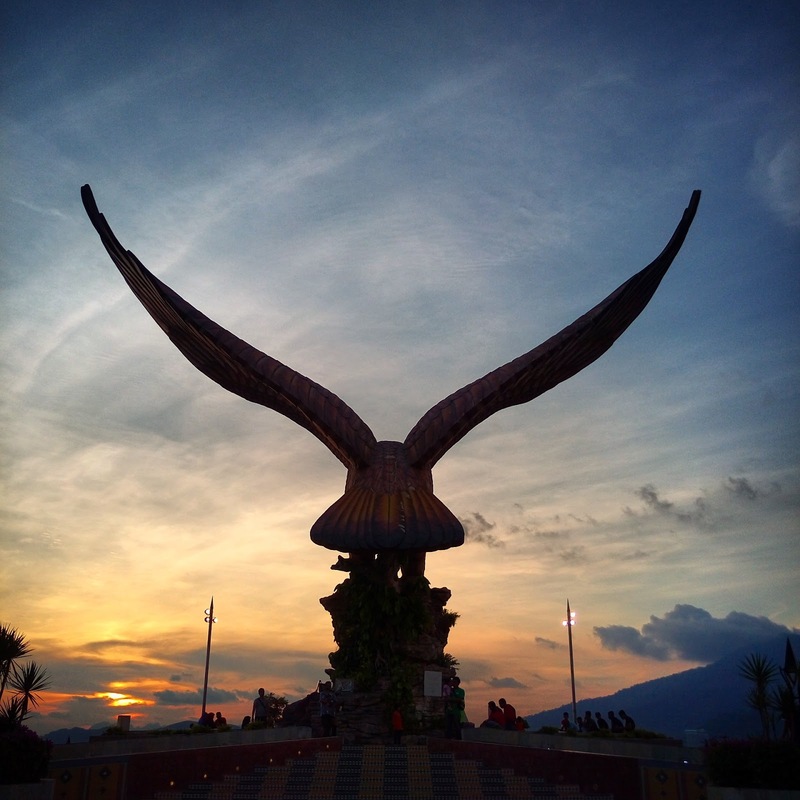 Dataran Lang is one of Langkawi’s best known manmade attractions, a large sculpture of an eagle poised to take flight. 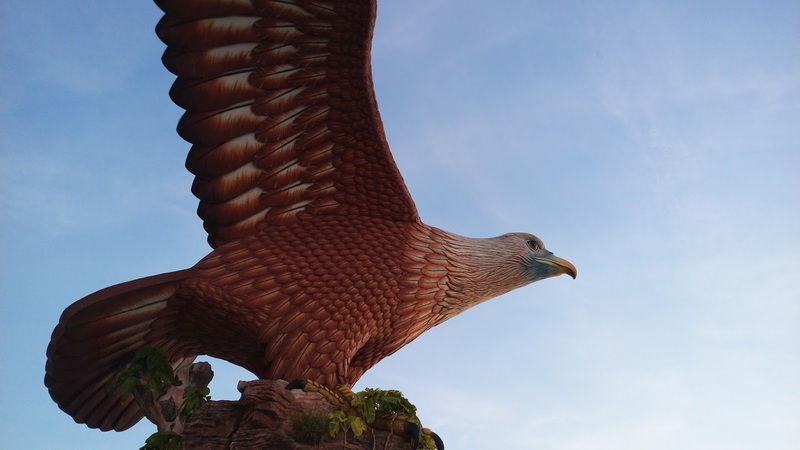 I believe that everyone who came to Langkawi will never miss to take photos with this giant eagle sculpture. A sight that greets visitors to the island via ferry, the 12 metre-tall statue is one of the island’s most instantly recognizable monuments. 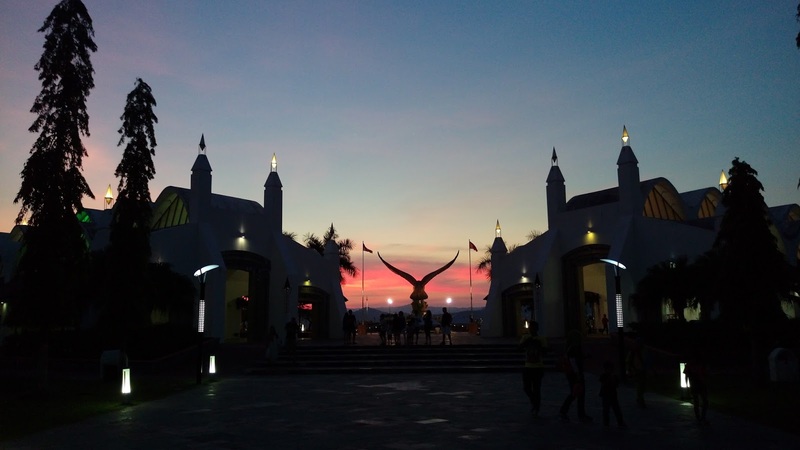 Located at the southeast corner of Pulau Langkawi, besides offering beautiful views of Kuah Bay, Dataran Lang has beautiful miniature fountains, terraces and bridges, making it the ideal place for those postcard-perfect holiday photos. The square is a good place to watch ferries ply across the harbour but plan a trip here early in the morning or late in the evening when the sun is at its least intense. 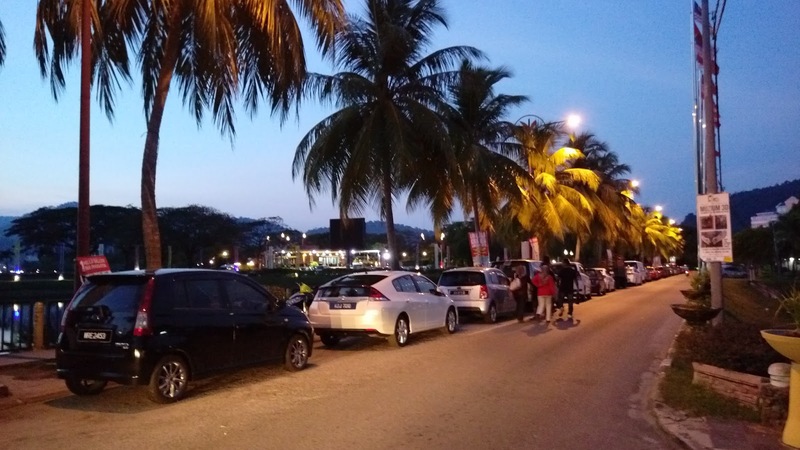 Free parking (roadside) and paid parking (open space) is available.